7 April 2011: The Community Rudi no Radio Station received two awards in the First CEMCA Community Radio Awards for Good Practices 2011. Shanta Koshti, SEWA Academy receives award from Honourable Union Minister of Information and Broadcasting, Smt. Ambika Soni. 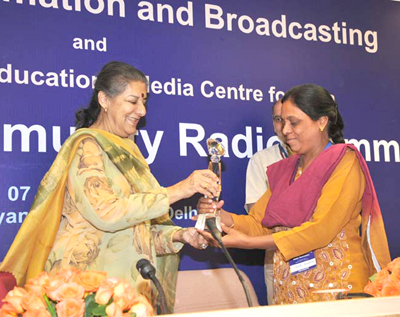 19 December 2010: The Laadli Media Awards for Gender Sensitivity 2010-11 (Western Region) in the Special Award category ‘Efforts to empower women through media’. 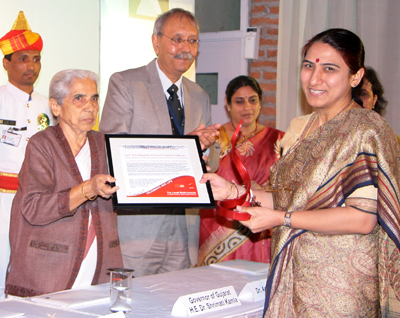 Namrata Bali, SEWA Academy receives award from Honourable Governor of Gujarat, Dr. Kamla Beniwal.